ESRI Canada’s Garden in the Sky is located at 12 Concorde Place, Suite 900, Toronto, ON, M3C 3R8. For additional info about ESRI Canada, contact Josephine Chan at: 416.386.6488 or [email protected] Watch ESRI Canada?s Garden in the Sky video here. “ESRI Canada’s Garden in the Sky” won Greenroofs.com’s 2010 Love the Earth, Plant a Roof! Earth Day Photo Contest. Read Linda Velazquez’s Sky Gardens blog post of May 19, 2010, GPW: ESRI Canada?s Garden in the Sky; unlimited magazine’s April 1, 2010 “Officeland: ESRI Canada” article by Emily Senger here; and TreeHugger.com’s October 5, 2009 “Prefab, Portable Green Roof Installed In Toronto” article by Lloyd Alter here, where you can also see two additional video interviews. 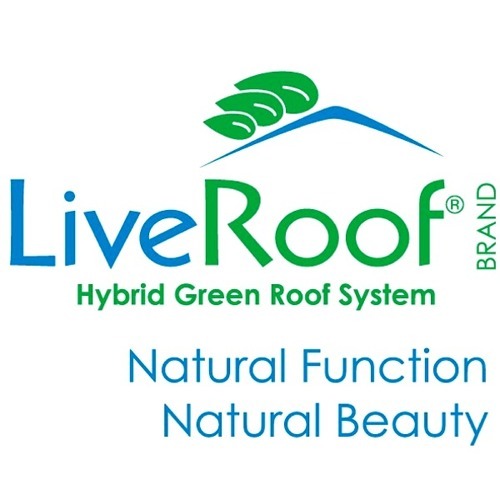 Learn about LiveRoof in The Greenroof Directory here or contact Kees Grover of LiveRoof Ontario here. Read about Gardens in the Sky (Flynn Canada Ltd.) here, and the landscape architects here: http://www.scotttorrance.ca/. Sustainability and environmental stewardship are foundational values of ESRI Canada. The company provides geographic information systems (GIS) used for many applications, including climate change analysis, natural resource management and urban development planning. Inspired by a study showing that green roofs reduce urban heat, ESRI Canada saw an opportunity to turn a 7,500-square-foot paved terrace on its ninth floor offices at 12 Concorde Place in Toronto into a rooftop garden. It wanted to demonstrate its commitment to the environment, help reduce the urban heat effect and prove that building a green roof is viable. With this in mind, planning the green roof began in 2007. ESRI Canada qualified for a grant under the 2009 Eco-Roof Incentive Program for Green Roofs in Toronto that covered roughly 15% of the costs of building the green roof. In 2009, the green roof received an honourable mention at Canada’s prestigious Design Exchange Awards for its innovative and sustainable design and in April 2010, the company received a Green Toronto Award for the green roof, recognizing its leadership in helping Toronto become greener, healthier and more liveable. ESRI Canada worked with Scott Torrance Landscape Architect Inc. to design a rooftop garden that would incorporate practical and innovative elements such as:?Portability. The green roof was built using prefabricated, pre-planted modular trays – a LiveRoof Hybrid geen roof system combining 4″ LiveRoof Standard and 6″ LiveRoof Deep modules – laid on top of the existing roof slabs, so it can be lifted and removed if needed with no damage to the building. This gives ESRI Canada the ability to remove and reinstall the green roof in the event of a move.? Year-round plant interest. The rooftop garden features more than 50 plants of different heights, varieties, colours and seasonality including sedums, grasses, evergreens, flowering plants, shrubs and trees.? Aesthetic appeal. The green roof has a unique linear design and plant palette that conform to site restrictions (structural, roof anchor, access, user needs) and provide a compelling visual to tenants of the building and surrounding buildings. ? Seamless view. The garden is broken into zones, creating outdoor rooms that extend the interior space.